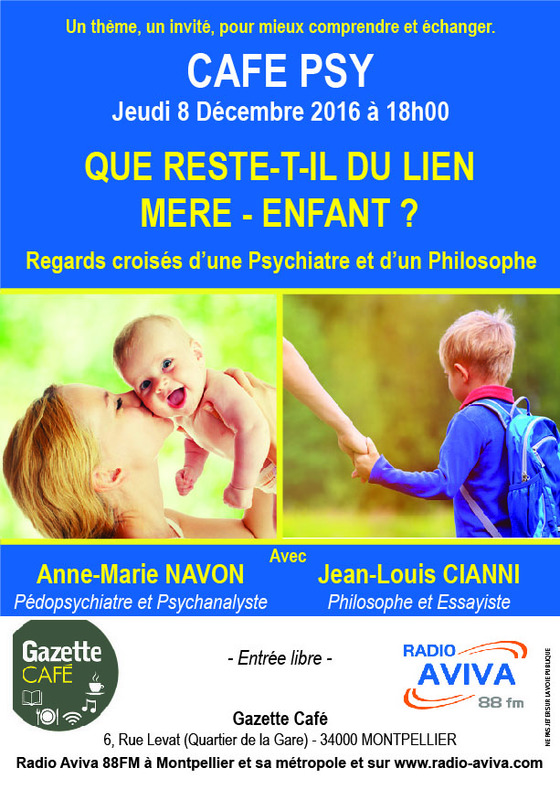 CAFE PSY – Jeudi 8 D?cembre 2016 – 18h – QUE RESTE T-IL DU LIEN MERE-ENFANT ?
? ?QUE RESTE-T-IL DU LIEN M?RE-ENFANT ?